Brazil's last match in Serbia will be played on Wednesdays on Wednesday, 27th against Brazil. At that time they lost the team's key players, Douglas Kastecha due to injury. Brazil's main eleven was not against Costa Rica. However, in the second half, as a substitute for Willian, he recognized that his caste was his own. He had enough contribution in the first round of Kutinoho, he made the goal of Neymar directly. 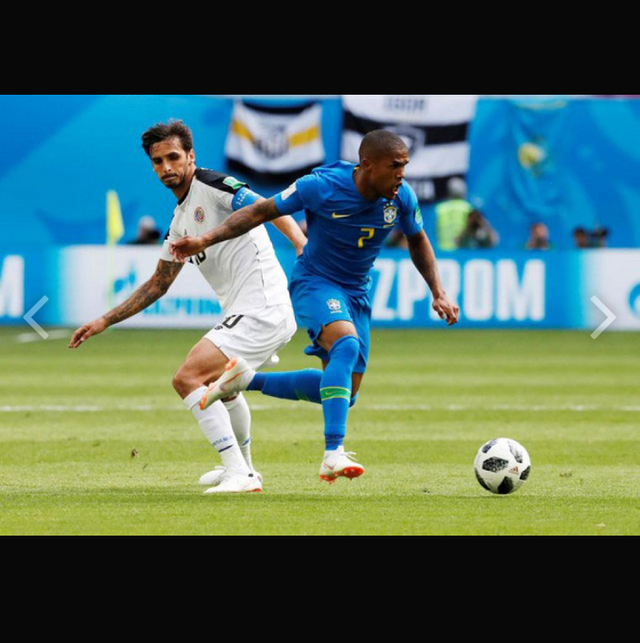 But this player is not getting the next match from Brazil. Costa has been knocked out of the World Cup in the hamstring injury. His performance must have taken a beating against Costa Rica in the match. Who knows, in the next match against Serbia maybe play the first eleven. But unfortunately, the zombie is worthless. The question of that opportunity is no longer rising. The Brazilian newspaper Globo Esporto said that Castro played with the pain in the second half. He helped two goals while playing with pain, Neymar's direct support. The Brazilian medical team did not even mention at all about this injury, lest the World Cup dream ends! But now it seems that he has done a lot of mistake by not saying the medical team. ￼Usually due to the injury, the original Writtenback Danilo of Brazil, Coach has taken his place and Fagner took his place. A star like Danielle Alvez does not play. It's a big push for Brazil to lose Douglas Kastea to the World Cup.